Suit Up Ministries is now on Instagram & Facebook! Go follow us @SuitUpMinistries for great pictures and content. 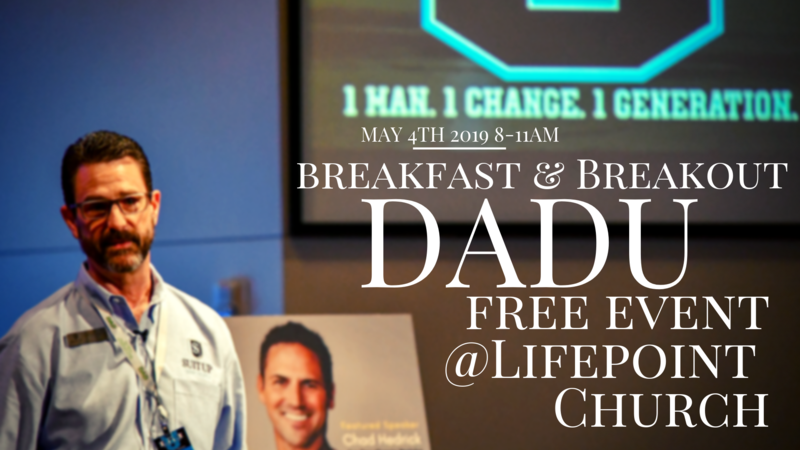 Join us for a FREE event for DAD's at Lifepoint church. May 4th, from 8-11am. Join us for Breakfast, worship, a single keynote and a breakout session. It's ALL FREE, just REGISTER HERE so we make sure to have enough breakfast! Hear Jeff Springer discuss his passion for Dads and Students. Click to register for the Suit Up Ministries golf tournament. Consider donating to the 2020 Undefeated Tour! Your donations will go a long way in making the tour dream a reality! Suit Up Ministries has the vision of traveling across the country visiting college and professional football stadiums, teaching men how to Suit Up! The goal is for the bus to hit the road during the Fall of 2020. We are in search of sponsors who can help us make the vision a reality. If you are interested in sponsoring email Jeff Springer. You can also give a one time gift by clicking below. The 200@25 initiative is designed to encourage Suit Up supporters to get in the game. We are challenging you to give $25 a month to Suit Up Ministries. What does $25.00 cost you? One less late night fast food run per month. One less Starbucks drink per week. What does 25.00 per month do? One MORE opportunity for SIX MEN to attend a DADU. Offsets the cost to put on a DADU Conference. What does $25 get you? Lifetime FREE tuition to ALL future DAD U conferences. Will you SUIT UP? Click the DONATE button below! Join the D.A.D. University movement! Many people believe that fatherlessness is related to delinquency and violence, and the weight of research evidence supports this belief. Having a father at home is no guarantee that a youngster won't commit a crime, but it appears to be an excellent form of prevention. • 60 percent of America's rapists came from fatherless homes. • 72 percent of adolescent murderers grew up without a father. • 70 percent of long-term prison inmates are fatherless. HumilityThe first step for H.O.P.E. for every man. ObedienceGreat leaders must first master this. Eternal vs. ExternalSurrender unto the Lord.